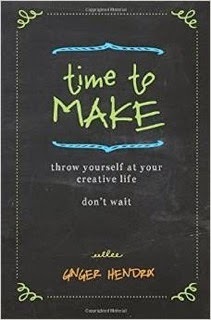 craftytammie: Time To Make - Throw Yourself At Your Creative Life. Don't Wait. Time To Make - Throw Yourself At Your Creative Life. Don't Wait. I have a fantastic new book to share with you today! Time To Make, by Ginger Hendrix, is like having a crafting cheerleader, best friend, and personal trainer all rolled up into one little paperback package. This book's goal is to give you that little bump you might need, a sweet little nudge towards a more creative life. 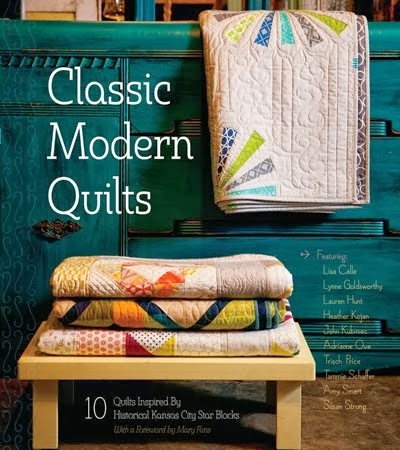 Remember when Ginger stopped in here on the blog, with this awesome post about free motion quilting? (No? Go ahead, take a minute, and read it. I'll wait.) It's still one of my favorite posts. And she took her writing skills and coaching ability and made a real live book. 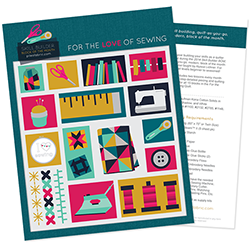 It's full of ideas and discussions and tips for getting your crafting mojo on. No actual projects - it's not that kind of craft book. 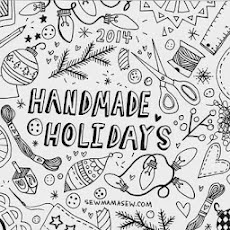 This is a book to address all of the reasons you aren't as crafty as you could be. Ginger Hendrix lives and writes and makes things in Morro Bay, CA. She once made a couch cover out of old polyester, once wrote and recorded a CD for kids, once learned to cook by hacking at low-fat magazine recipes (and then just doubling the cheese), once sewed at least 30 aprons out of strange scraps, salvaged old quilts into new ones, and even tried making a lamp out of an old coffee pot. 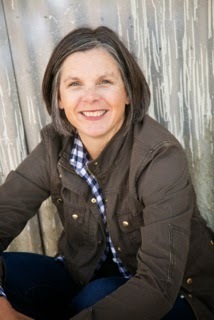 She has been known to teach writing and sewing. She writes the blog Wienerdog Tricks at gingerhendrix.com. She's got a deep love of re-purposing, and was the first person I thought of when I had a big box of Granny's polyester that needed a worthy home. 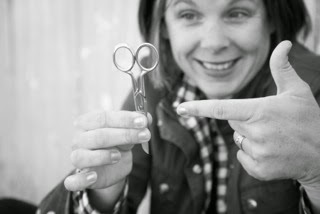 Her passion for sharing the joys of crafting have led her to sit on a couch in the middle of a festival and teach people to rip up old sheets and crochet. So, Time To Make, like her, is fabulous. And I have a giveaway today to share a copy with one of you! I bought a copy as soon as it came out, and sat right down and read it all. I love her hilarious and quirky and honest style. Here, I'll let her tell you about it herself in her book commercial! So enter to win a copy. Or even better, don't wait, go buy this book at amazon! She's giving one book away to a reader - just enter using the rafflecopter widget below. Open to everyone, worldwide! You can get another entry for answering this question - what's your biggest crafty hang-up? Is it that you can't make any money doing it? Is it a fear of wobbly seams? Let us know what yours is in the comments (but you still need to enter using rafflecopter, thanks!) Giveaway will run through Monday the 22nd, and winner will be contacted through email. Good luck to everyone! My biggest hang up os just finding the time. I'd rather be in my sewing room than doing most things but I gotta make a living. And balancing a busy workload can be tough. My biggest hang-up is room to spread out while crafting. My biggest hang up is finding time. I'm a in school, so homework comes first, but I'd rather be sewing. My biggest hang up is deciding on colors for my quilts..it takes me 2 or 3 days just looking at what "speaks" to me!! Ginger only likes about 30 minutes from me!! Small world!! Thank you for this great giveaway!! And inspiration you give me!! My biggest hang up is trying to put fabrics together. I always over think the process. My biggest hang up is time since after a hard working day, I'd love to rest and not crafting. That leaves weekend as the only time I've got to do any crafting. Not having space. And, time! My biggest hangup is finding the time to get started or if I do get a projected started putting time aside to continue and finish the project. Where does the time go each day! My biggest hangup would be finding the time and then being inspired when I do have the time. Like most the others, working is the priority, but by the time I do get home, I just want to relax and end up piddling around. My biggest hang-up about crafting is buying really nice materials (like fabric) but not wanting to use them because they're too nice! mine is matching the mood and the time. 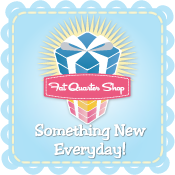 sometimes getting craft material could also be it, since this is a small town afterall, most of my supplies are brought online. My biggest hang up is finding the time, something always comes up that requires my attention and room for the supplies is also an issue.